Easily install on Trailers and Intermodal Containers with roll up doors. The RUD-T is compatible with Todco Hasp locking hardware and the RUD-W is compatible with Whiting Hasp locking hardware. 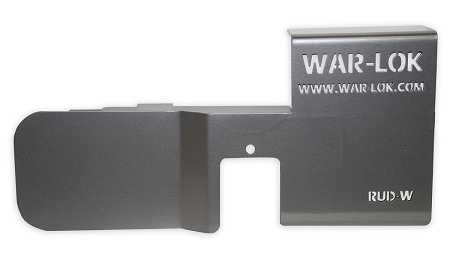 Covers the hasp and when used with a WAR-LOK Padlock can be keyed to match other WAR-LOK products you use. The RUD units are made of steel and poly powder coated.